Summer is well and truly upon us. The Australian heat undulates and wavers between a nice 25 degrees to a harsh and insipid 40 degrees celcius (or more! ), cruelly and inconsiderately parching our lips and body with thirst, yearning for a cool and refreshing drink. Remaining hydrated is not only a necessity in our every day lives (regardless of the temperature), but also an important adjunct to our beauty and weight loss/health goals. Want clear, younger looking skin? Drink more fluids! Want to banish some unwanted bloat? Drink more fluids! But, we hear you asking, is it really that easy? Yes, we say. Yes it is! Looking for something different to replenish that thirst other than water? 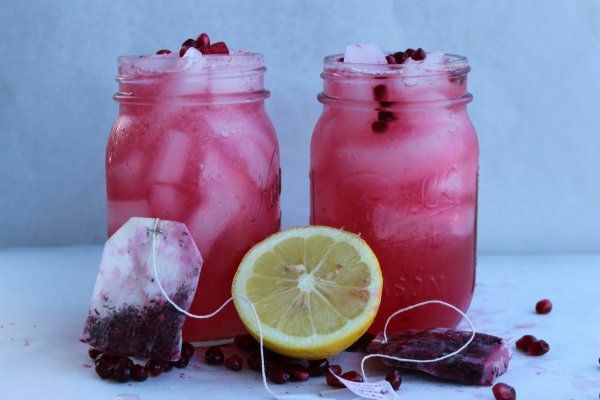 Why not try our iced tea, inspired by our Acai teatox found here! Stir, pour into a glass and enjoy! For some information on our lovely Acai Teatox, read below! How do you like to keep hydrated this summer? Let us know!